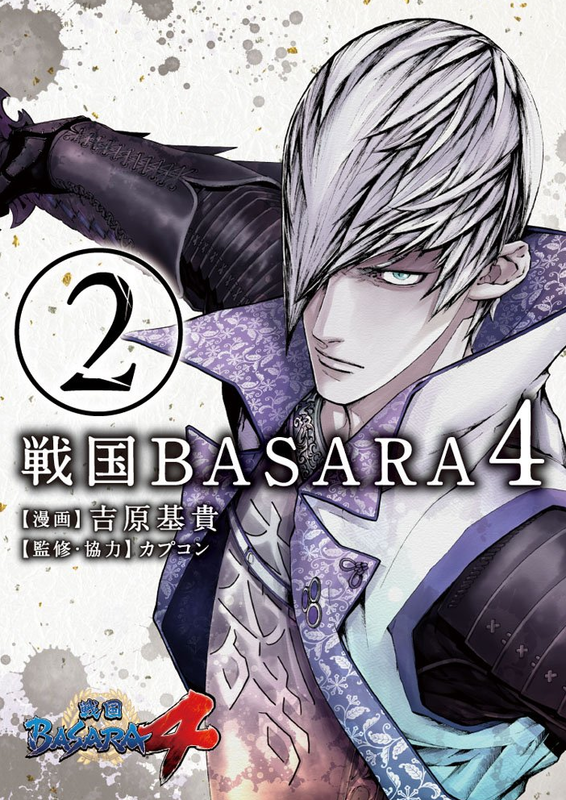 We already knew that the second collected volume of Yoshihara Motoki's Sengoku Basara 4 manga adaptation was scheduled for release in late December 2014 for ¥616 but now we have the cover artwork to enjoy. It's a great picture of Mitsunari and matches Masamune on the first book. I wonder how long the manga will run, and how many different characters they'll showcase on the different covers. There's a large amount of new Capcom merchandise coming out early next year and of course, this includes a few Sengoku Basara items. 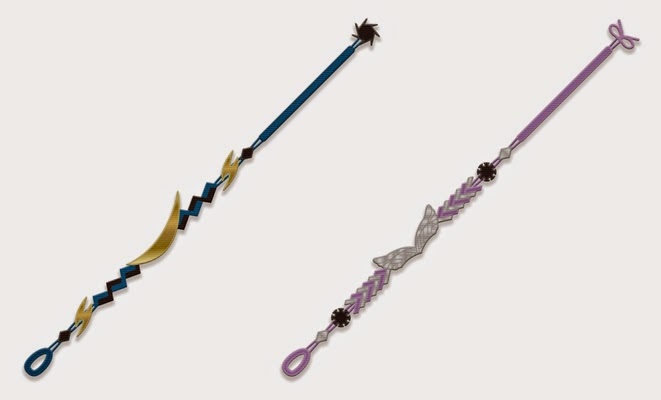 The first new item is a pair of embroidery bracelets (friendship bracelets) with a choice of Masamune or Mitsunari designs. They're priced at ¥1,100 each and they'll be released in late February 2015. The bracelets can be preordered worldwide at Ami Ami (Masamune, Mitsunari), CD Japan (Masamune, Mitsunari), Otaku Republic (Masamune, Mitsunari) as well as other import stores. 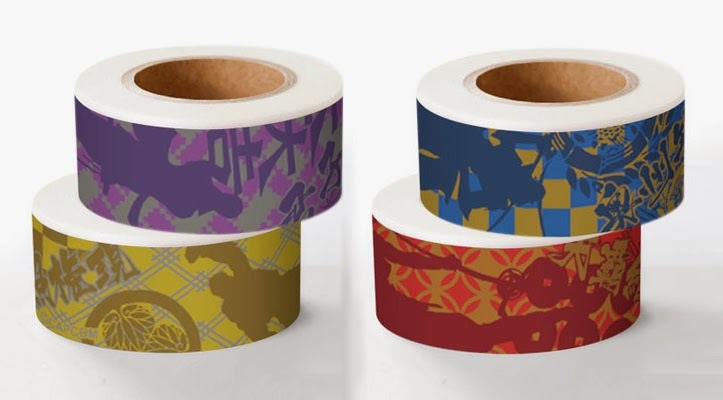 Those who prefer their merchandise to be practical may find this special Sengoku Basara masking tape more appealing. The packs will each contain two rolls of tape for ¥600 when they go on sale in late February 2015. You can preorder the tape at at Ami Ami (Masamune/Yukimura, Ieyasu/Mitsunari), CD Japan (Masamune/Yukimura, Ieyasu/Mitsunari), Otaku Republic (Masamune/Yukimura, Ieyasu/Mitsunari) and other import stores. If you wanted to know what to expect from the Television Anime Sengoku Basara Judge End: Official Illustration & Genga Collection art book which was released last week, the folks at Dengeki have put together an article (and a series of Twitter posts) with sample pictures showing its contents. It's probably not an essential purchase for the majority of fans but if you liked the art style of Judge End and want a definitive collection of its production materials, it looks like a decent compilation. The old 'e-Capcom: Capcom Official Shop' in Odaiba may have closed down earlier this year, but those who want to buy Sengoku Basara and Monster Hunter merchandise straight from the source will be happy to learn that a pair of temporary Capcom stores will be open for business in Tokyo and Fukushima this winter. The Tokyo store is called 'Capcom Shop: e-Capcom Tokyo Dome City Branch' and it will be trading between 12th December 2014 and 15th March 2015 in the Tokyo Dome City Plaza #1 area. Its opening hours are 10:30-19:00 on weekdays and 10:00-19:00 at weekends and bank holidays and it boasts some unique Monster Hunter attractions. The Fukushima branch is a little more exclusive. The 'Capcom Shop in Kooriyama MOLTI' will only be open between 20th December 2014 and 4th January 2015 (excluding New Year's Day). Its opening hours are 10:00-20:00 with early closure on New Year's Eve and 4th January. To make up for its short lifespan, the pop-up shop will be offering plenty of goodies and giveaways along with unique Monster Hunter and Gyakuten Saiban (Ace Attorney) displays. Both stores promise to stock various rare merchandise from a wide range of Capcom titles, and shoppers who spend more than ¥1,000 will receive a special coaster sticker while stocks last.